We’ve seen a lot of unique and unusual bathroom sink designs before, but this one takes the cake. 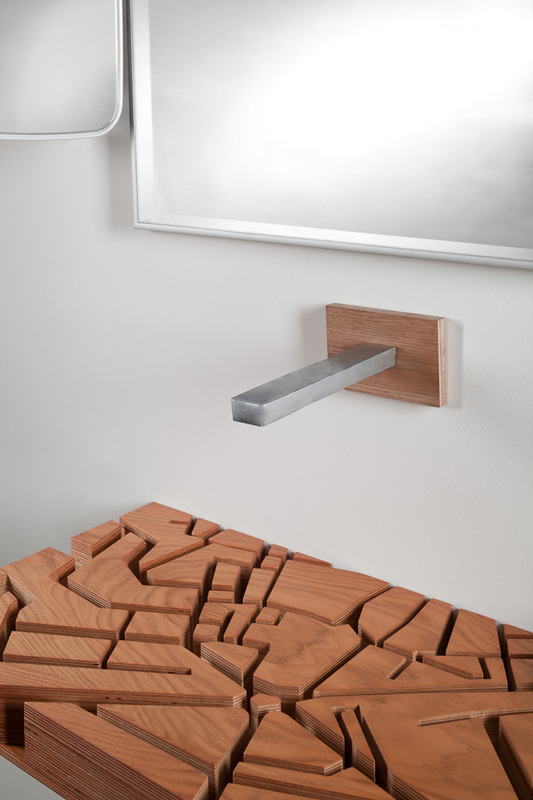 The Water Map basin is a unique bathroom furniture piece designed by Ukrainian designer Julia Kononenko that was inspired by street maps. 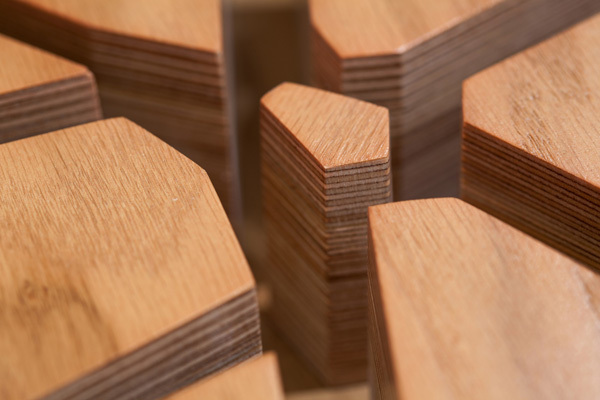 It is made of wood and features a three dimensional city map of London. Kononenko choose London for the first design “as a tribute to the fact that it was England where the first industrial products appeared back in the XVIII century”. 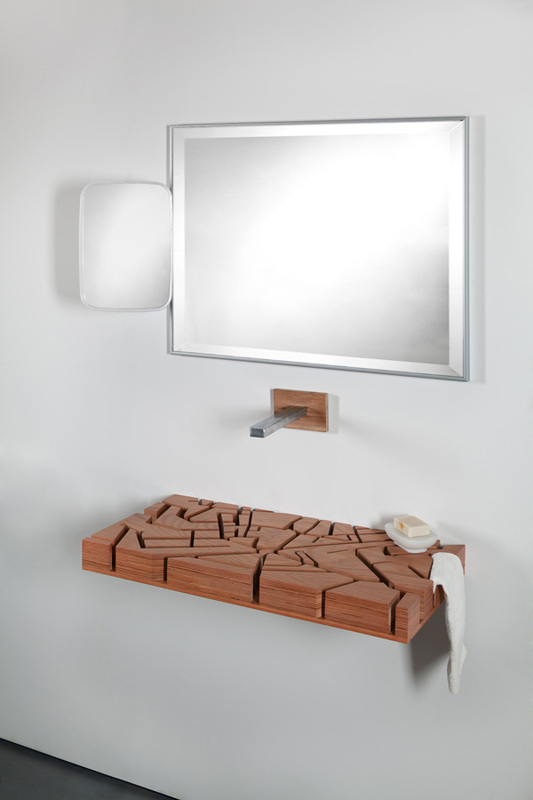 But the sink can be custom designed to any city- New York, Francisco, Tokyo, Hong Kong, the possibilities are endless. 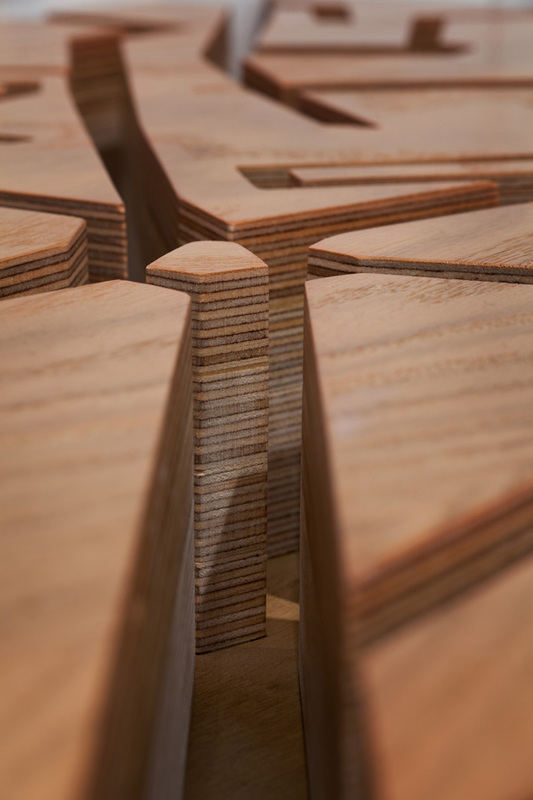 Water flows from the faucet through the winding cut outs in the layers of wood. In this intricate design the ducts are almost like tiny river channels taking the water to its destination. This sink is truly one of kind, we have never seen anything like it before! One thing we are left wondering though, how does the water not overflow onto the floor? 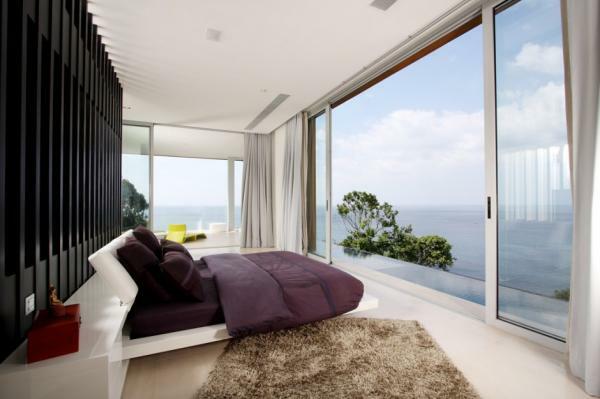 We would love to see this piece in action and find out the secret. The Water Basin sink would look great in any home and will fit many styles and tastes. Kononenko is an industrial designer who graduated from Kharkiv State Academy of Design and Arts and specializes in product and furniture design. Some of her other inventive products include Convertible Sofa – a sofa that becomes benches and a table for maximum versatility and a clock that has a chalkboard back so the user can write notes to fellow roommates or loved ones. 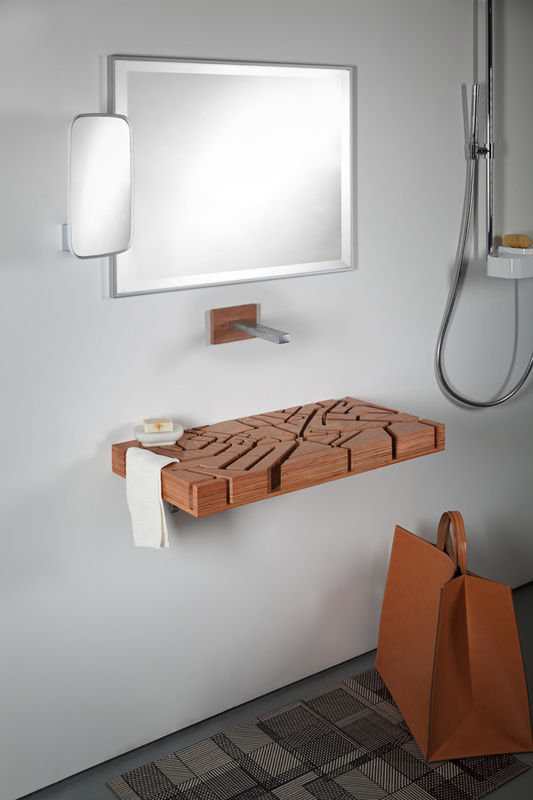 The Water Basin has become one of her most popular designs. Can you see the water basin being utilized in your home? We are busy picturing it in our own home!